was asked to research and identity a problem in the world that could potentially be solved through the design of an application. I developed a design that served three functions. Make learning or refreshing knit knowledge easier, foster an online community of knitters, and a tool that tracks project progress. 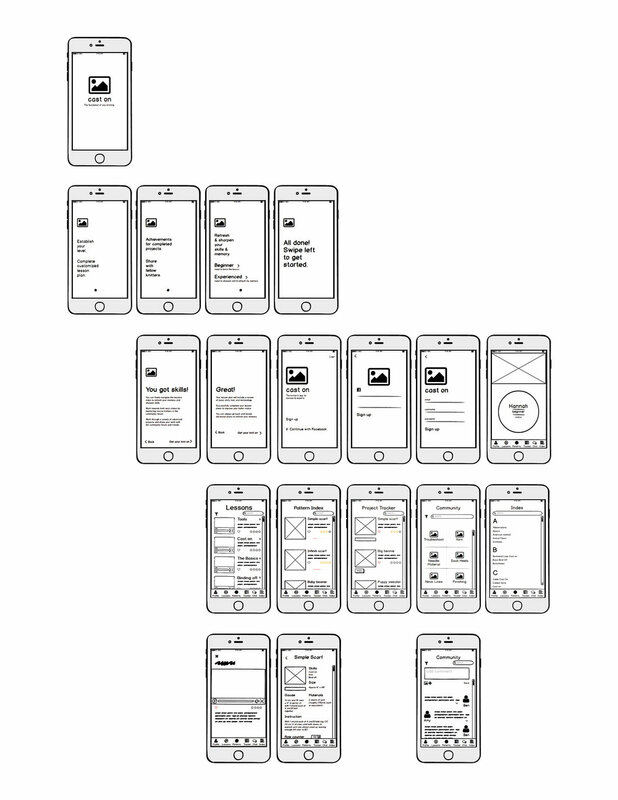 I looked at competition in the same space as my app, developed audience personas, visual system, wire frames, and finally prototype my final application using InVision.